Are you looking for a Limo for your Wedding, Birthday, Corporate Event, Prom, Bachelor Party, Bachelorette Party or other Special Event? Huntington Limousines is your company! We're professional, fast and flexible... Long Island's ultimate high-end limousine rental company. Our limos are lavish. We want our Huntington, NY residents to feel like a celebrity when they book a limo with us. We attend to every detail. We always over deliver and pamper our clients. No group too large for us. We can accommodate small to large parties. Our drivers are top notch. Our clients always talk about our upscale limousine chauffeurs. "They're respectable, professional, dependable, prompt." Our limo service is flexible. YOU are the boss when you book with us. We’re here to serve YOU. You’re in the driver’s seat, tell us what you need. White glove service. 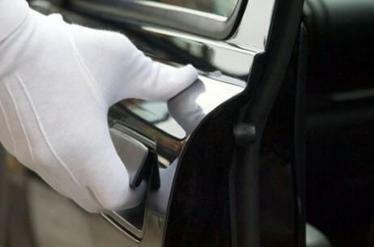 Our limousines are always spotless, sharp and squeaky clean. Any event, we got you covered. Weddings, birthdays, sporting events, night out on the town, airport service, etc. Comfort and safety. Enjoy yourself with your guests, while we get you to your destination safe and sound. Stylish. Exclusive. Affordable. World class service as prices that fit your budget. Call today for specials on Limo Rentals in Huntington, Huntington Station, Melville, Lloyd Harbor, Cold Spring Harbor, Centerport, Northport, Commack and the rest of Long Island, Brooklyn, Queens, etc. As the exclusive Limo Service in the Huntington area, we're here to give you top notch service at a very affordable price!